A fun play on a classic Greyhound but with a fun spring twist. Fill a glass and a shaker with crushed ice. Add juice, vodka, liquor and syrup to the shaker and shake well. Strain over crushed ice. Rub the sprig of rosemary between your fingers and plunge into to the drink. Squeeze the grapefruit peel slice over the drink and drop it in. A simple 50/50 mix of sugar and water can take your cocktails to the next level. Boil 1 cup sugar and 1 cup water until all of the sugar dissolves (this happens fast!). 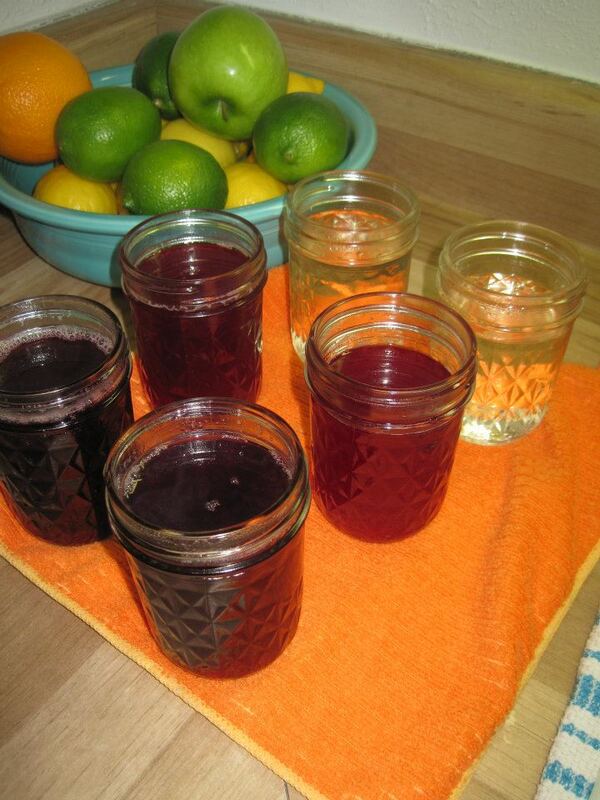 Try boiling down seasonal fruit in the mix and straining prior to canning for a fun twist. Here is blackberry, raspberry and simple syrup.